Deadlines for filing responses, proofs of service and many other court documents are quite firm. Long lines, errors, and even court holidays can cause delays and potentially derail a legal case. Failure to meet these timelines often leads to dismissals or, instead, a downright loss for your client. 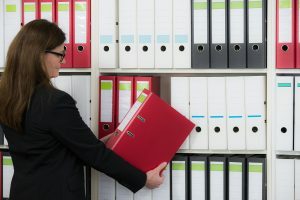 For these reasons, Accurate Document Imaging has been offering their court filing services to law professionals in the Weaverville, California, area since 2003. The preparation and filing of court documents involves many small details that must be correct for them to be accepted. The knowledgeable team employed by Accurate Document Imaging will navigate all of your court filing needs from beginning to end. From form types, the number of included copies, and confirmed information, we will ensure there are no mistakes before completing your court filing service. By allowing Accurate to file documents on behalf of your clients, you and your staff will avoid disastrous results that often lead to losses in revenue and clientele. Unfortunately, determining the days and hours during which a court clerk is open can be a shot in the dark. Many are closed on weekends, but shortened hours and holiday closures can be difficult to determine. The problem with this scenario is that deadlines may be missed. With Accurate’s help, you can avoid paying your employees to leave the office just to be turned back without completing their task. We have the needed experience with court closures and ensure that all of your court filings are completed ahead of deadlines. The act of filing court documents has not yet gone digital and still requires travel time and long lines. Not to mention they are still being printed on paper with the possibility of mistakes in the information. For guaranteed accuracy and the timely completion of court filing services, contact Accurate Document Imaging, near Weaverville, California, today.